Beautifully balanced, the Promesse 10182 celebrates the aesthetic highlight of combining the oval bezel with the round case and dial. The polished steel case of this automatic watch with 38 hours power reserve houses a white mother-of-pearl dial with Roman numerals and dauphine hands. 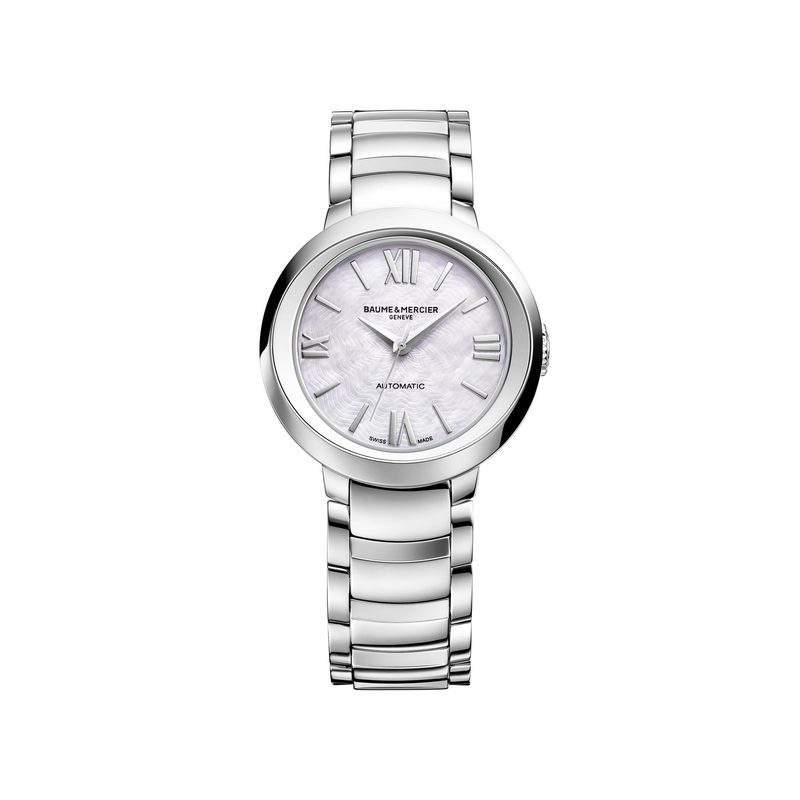 A polished steel link bracelet with triple folding clasp completes the timepiece.